This was a nice surprise today in Angelita Madrid – one of the Colección Añadas and a rare wine by most standards, but here you seem to be able to get anything at any time. 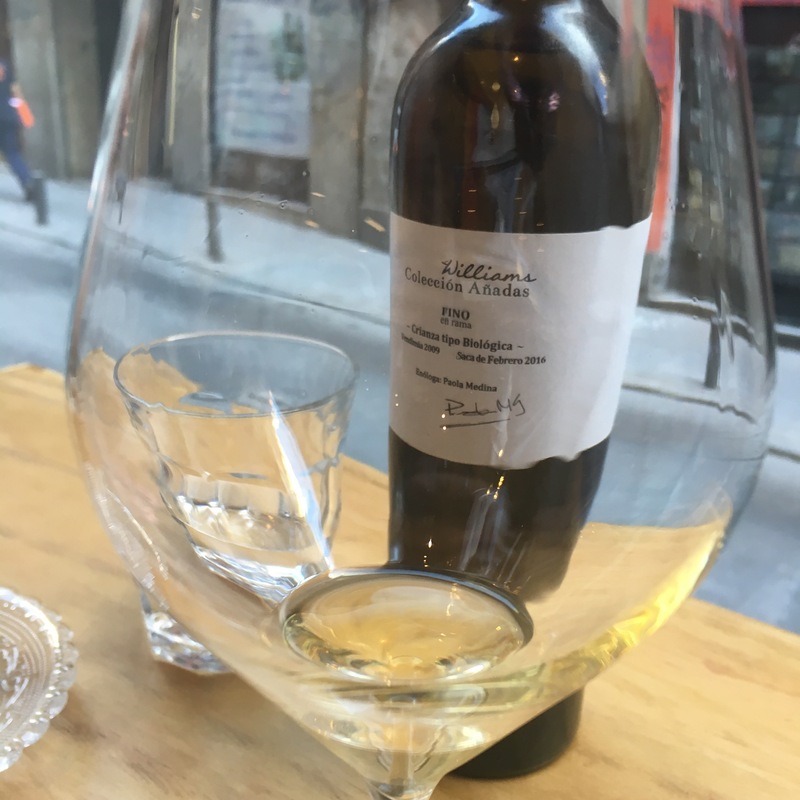 Not the most scientific of tastings – was having a very pleasant lunch with friends – but my impression was of a juicy, full flavoured wine that hangs together well even if it is not quite compact as such. Zingy salinity up front, then salty hazelnut flavours, maybe a bit spirity/alcoholic. It was paired with a fantastic roast sucking pig with a touch of orange and star anis and the wine stood up to those flavours admirably, although for me the anis and orange may have taken away some of the impression of hazelnut from the wine. Nevertheless, an interesting, flavourful vintage wine with a bit of character to it.